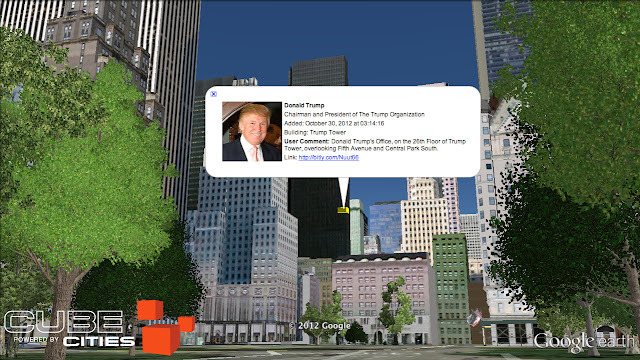 See Donald Trump's office on the 26th Floor of Trump Tower with this link to a Shared Grid. With Shared Grids, you can highlight any floor or window in any building, and then add comments and a URL to the selection. Begin by going to the Grids page and searching for a building. Once selected from the search list the building will load covered with square grids that you can turn on or off by clicking them. Make sure to sign in so you can save the work and exchange it privately or share it with the Cube Cities community. 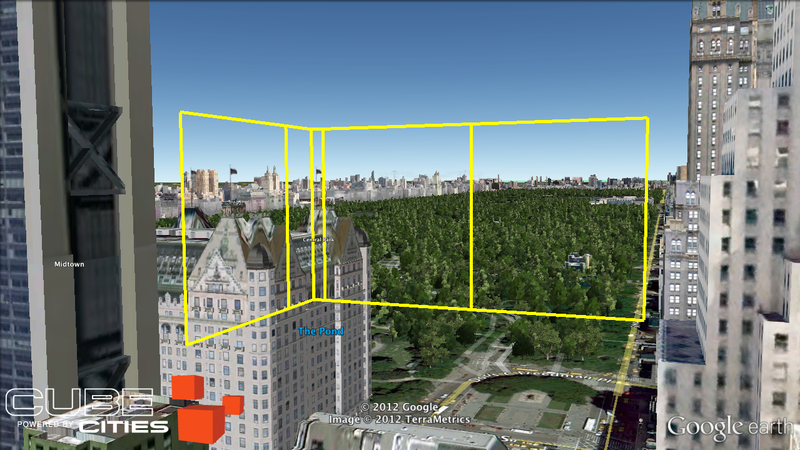 To explore all the Grids that are shared on Cube Cities, click the city icons on the Grids page. You will find Shared Grids scattered throughout cities, marking them up with building, floor and window-specific information.